Easy to use and easy to read, the air pressure gauge helps ensure proper inflation with each use. Air shut-off valve prevents air loss while tank is not in use. 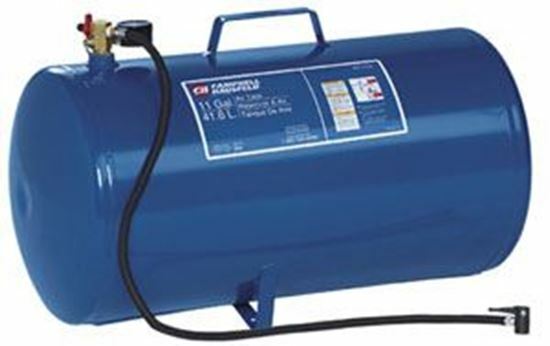 Air-tight tank holds compressed air for months. Great for inflating car and bike tires, sporting balls, and other recreational equipment in remote areas.